See the beauty of the British Columbia. 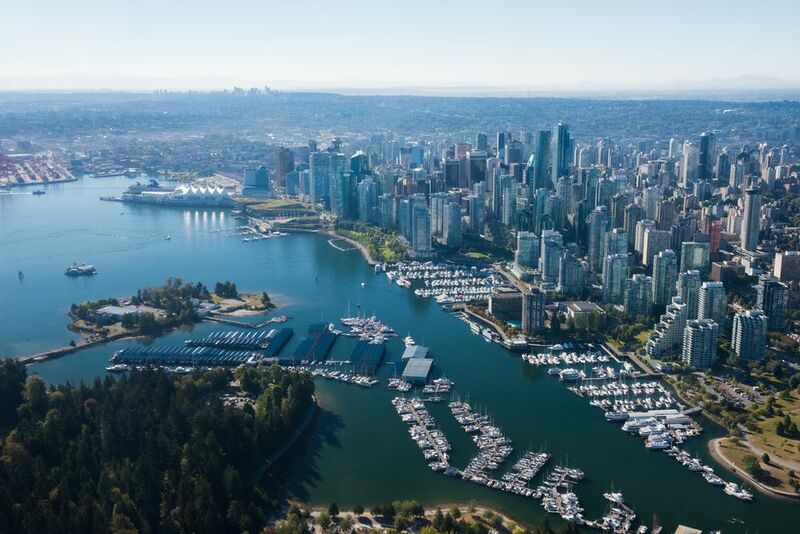 Enter the draw for your chance to win two return economy flights from Brisbane to Vancouver, Canada. Entry is only open to QLD residents who are 18 years and over. To enter the Promotion, the entrant must visit bne.com.au/competitions, follow the prompts to the Promotion entry page; and fully complete and submit the online entry form with their personal details (first name, last name and email address) during the Promotional Period (“Initial Entry”). Limit one (1) Initial Entry permitted per person. subsequently enter the Promoter for the initial entrant to receive a bonus entry for the email share. The bonus entry methods will be communicated on submission of the entry form, and also on the email from the Promoter confirming their entry form submission. The entrant must follow the prompts on the website/email to complete a bonus entry method. Multiple entries permitted per person, see How to Enter section above for details. Up to AUD $5,663.69, based on current exchange rates as at 17/10/18. The prize is return economy class flights for two (2) adults to Vancouver, Canada, departing from Brisbane, Australia. Up to AUD$5,663.69 based on current exchange rates as at 17/10/18. • The prize requires the winner to contact the Promoter in order to book travel. All reservations and ticketing must be made by 28 February 2019. • Names may not be changed, and tickets may not be extended or re-routed, once ticketed. row seating is not permitted. • Frequent flyer points will not be awarded and do not form part of the prize. and all other ancillary costs, unless otherwise specified in the prize description, are not included. • Passengers are responsible for any Fringe Benefits Tax or other taxation requirements, which may arise. The winner will be notified by email within two (2) business days of the draw. Prize must be claimed by 15/02/19 at 10:30 am AEST. In the event of an unclaimed prize, the prize will be redrawn on 18/02/19 at 10:30 am AEST at XCom, Unit 1/15 Lamington Street, New Farm QLD 4005, Australia. The winner of the redraw will be notified by email within two (2) days of the redraw. Promotion, the Promoter, its distributors, suppliers, subsidiary companies/businesses and associated companies and agencies are not eligible to enter. "Immediate family member" means any of the following: spouse, ex-spouse, de-facto spouse, child or step-child (whether natural or by adoption), parent, step-parent, grandparent, step-grandparent, uncle, aunt, niece, nephew, brother, sister, step-brother, step-sister or 1st cousin. 15/01/19 using computerised random selection. i. The first valid entry drawn will be the winner of the prize specified in the Schedule above. ii. The draw conductor may draw additional reserve entries in case an invalid entry or entrant is drawn. Facebook Statement of Rights and Responsibilities (http://www.facebook.com/terms.php) and the Twitter Rules (https://support.twitter.com/articles/18311-the-twitter-rules). This Promotion adheres to the terms and conditions set out in the Facebook promotion guidelines which can be found at: http://www.facebook.com/promotions_guidelines.php and the Twitter Rules and Policies (https://support.twitter.com/groups/56-policies-violations#topic_236), Search Best Practices (https://support.twitter.com/articles/42646-twitter-search-best-practices) and Guidelines for Contests (https://support.twitter.com/articles/68877-guidelines-for-contests-on-twitter). Any questions or comments regarding the Promotion must be directed to the Promoter, not to Facebook and Twitter.